Dr. Wadia is a warm and caring person who has provided gentle dental care for entire families since 1988 in North County, San Diego. Her goal is to have patients fully understand their treatment needs and achieve their optimum dental health and then maintain it. She attends continuing education seminars and is certified in placement of Lumineers. Dr. Wadia values and instructs others in the office to pay attention to both cosmetic and functional details in every procedure she performs. She has certification from BioLase and incorporates laser therapy when needed. Stability and consistency in the dental team is important to her. 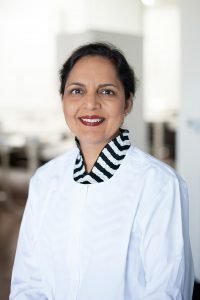 Dr. Wadia is capable of performing all phases of dental care at a high level, including pediatric dentistry, endodontic therapy, and surgical extractions. However in certain cases, she also appreciates the value of a team approach and works with established specialists in the area to provide excellent treatment planning, thus achieving the best results. In her free time, she enjoys traveling or just spending time along the shores of America’s finest city. 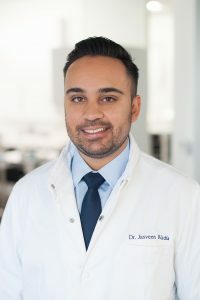 Dr. Jasveen Wadia was born and raised in Escondido, CA., where his mother has practiced dentistry for over 30 years. He completed his undergraduate work at the University of California, Los Angeles majoring in biological sciences and minoring in neuroscience. After receiving his Bachelor of Science degree, he continued his studies at the University of Southern California where he earned his Doctor of Dental Surgery degree. In his free time, Dr. Wadia enjoys traveling and is an avid sports fan. He loves to play racquetball, and welcomes others to come play and have a great time. Dr. Wadia looks forward to many years of service and maintaining the high level of treatment and tradition at Wadia Dental Group.